Donald L. VanOpdorp, 87, of Geneseo, passed away on Monday, February 4, 2019 at Hillcrest Nursing Home in Geneseo. A memorial service celebrating his life will be held on Friday, February 8, 2019 at 11 a.m. at First United Methodist Church in Geneseo. Reverend Dr. Christopher Ritter will officiate. Inurnment will follow in the North Cemetery for Don, and his wife Darlene. A visitation for Don will be held one hour prior to the services at church. 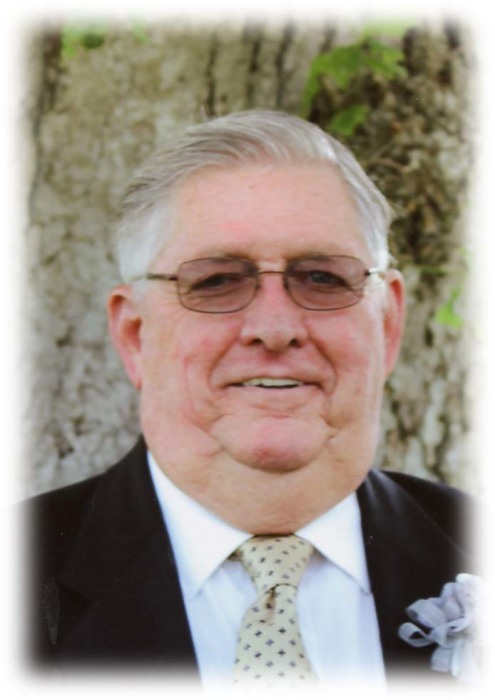 Memorials may be made to the Donald VanOpdorp Memorial Fund. Vandemore Funeral Home and Crematory is assisting the family with arrangements. Donald was born April 11, 1931 in Hanna Township, the son of August and Mary (Mariman) VanOpdorp. He graduated from Geneseo High School in 1949. He was united in marriage to Darlene K. Reese on November 3, 1951. Don retired from Teamsters Local 371 after 30 years of service. After retirement, he drove a school bus for Pink's Bus Service. Don was a member of the First United Methodist Church in Geneseo. He was an avid bowler. He and Darlene assisted with the Geneseo Youth Bowling program and encouraged and taught children the sport. The tradition carries on today with his son and grandson. Don enjoyed wintering in Mission, Texas and spending summers at their lake home in Michigan. Don and Darlene loved to ballroom dance. Most of all he enjoyed spending time with his family. He enjoyed keeping up the pace with his grandsons, as they grew older. His passion was dining out. He took loving care of his wife, Darlene. It eventually took a toll on his own health in 2015. It was a miracle in itself that he survived. We were fortunate to have him in our lives for 3 ½ more years. His family will be forever grateful for him. Those left to cherish his memory are his children, Greg (Brenda) VanOpdorp of Geneseo, Gloria (Stan) Redell, of Geneseo, Steve (Rhonda Smith-Chesling) VanOpdorp of East Moline; eight grandchildren, 13 great-grandchildren - soon to be 14, three step-great-children; sister-in-law, June Nicholson of Hillsdale; several nieces and nephews, as well as a special friend, Wilbur Floming, of Osco. He was preceded in death by his parents, his wife, Darlene, brother, Howard, and great-grandson, Sean. The family extends their heartfelt thanks to the ENTIRE staff at Hillcrest Home. The caring and concern for Don and his family was evident throughout his stay and especially on the day of his passing. They will be forever thankful for all of you. A special thank you also, to the staff of Heartland Hospice Care. Even though it was for a short time, you were caring and supportive to Don and his family.